Alexander McQueen has taken over the world of skulls! Nothing and nobody can ever introduce skulls the way McQueen has; and if they attempt to the result will never surpass this success! 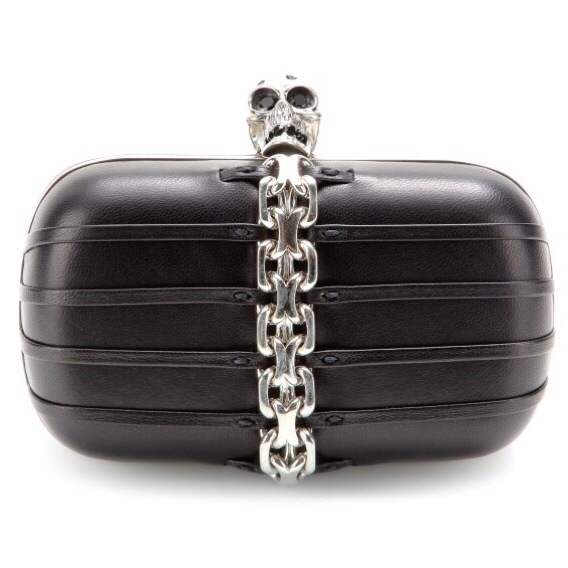 One of my favorites for this season is this black clutch with silver chain detailing and a silver skull head; just beautiful!